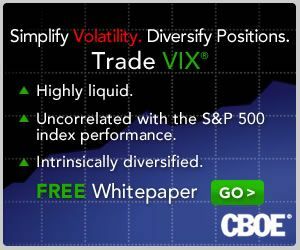 Since everyone wants to talk about the VIX right now and I often get asked what the best conference is for the VIX and volatility aficionado, I should note that my favorite VIX conference, the 29th Annual CBOE Risk Management Conference (RMC), begins this Sunday and runs through Tuesday. The conference is being held in Carlsbad, California (about 30 miles north of the San Diego airport) at the Park Hyatt Aviara Resort. “The RMC is an educational forum where end users of equity derivatives discuss new policies, strategies and tactics to manage risk exposure and enhance yields. The conference provides an ideal setting for institutional users and prospective users of exchange-traded derivatives to network with their peers, exchange ideas and learn the latest information about new products and risk management strategies. Whether you're interested in learning the latest risk management techniques or simply mastering the fundamentals, the Risk Management Conference™ is a valuable opportunity to learn from some of the top traders and strategists. With topics ranging from basic derivatives applications to advanced trading concepts, the RMC is a must for financial professionals who need to stay current with industry trends and learn how to effectively use the latest risk management tools and strategies. Now more than ever, the CBOE Risk Management Conference is a conference you must attend. For more information, you can check out the CBOE RMC agenda and register from any page on the site. While I was unable to attend last year’s conference, I was impressed by the 2011 event and have the RMC as my only ‘must go’ conference for each of the coming years. On second thought, the CBOE did sponsor the CBOE RMC – Europe in County Wicklow, Ireland last September and if the European version of this conference comes around again this year, I might have to rethink my priorities. I will be the Carlsbad conference at the end of this week. If you would like to say hello, just look me up or drop me note.